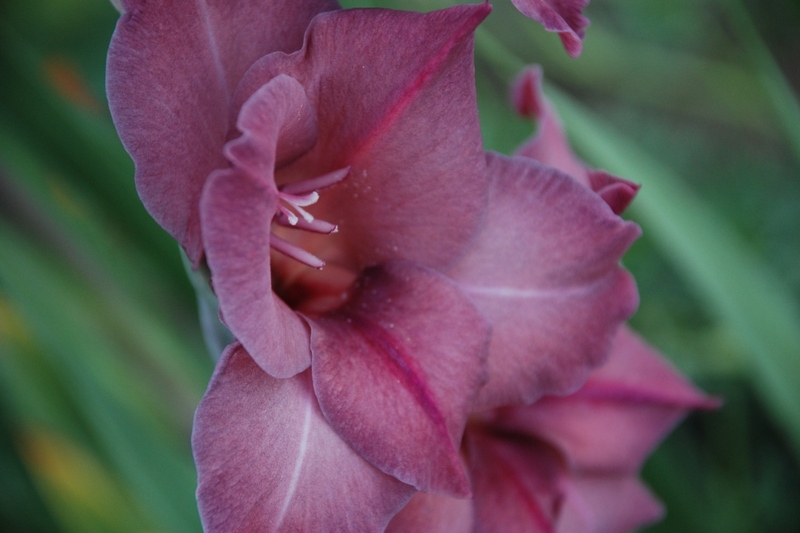 Gladiolus (Gladiolus): growing, planting, caring. A wonderful flowering plant, perfect for beddings. Gladiolus - the sword lily - is a genus of perennial flowering plants in the iris family. Gladiolus grows from corms, with stems generally unbranched producing 1 to 9 narrow, sword-shaped, longitudinal grooved leaves enclosed in a sheath. The flowers of wild species vary from very small to perhaps 4 cm in diameter, but some hybrids have spectacular giant flower spikes, with colors ranging from pink to reddish or light purple, white, or orange and yellow. 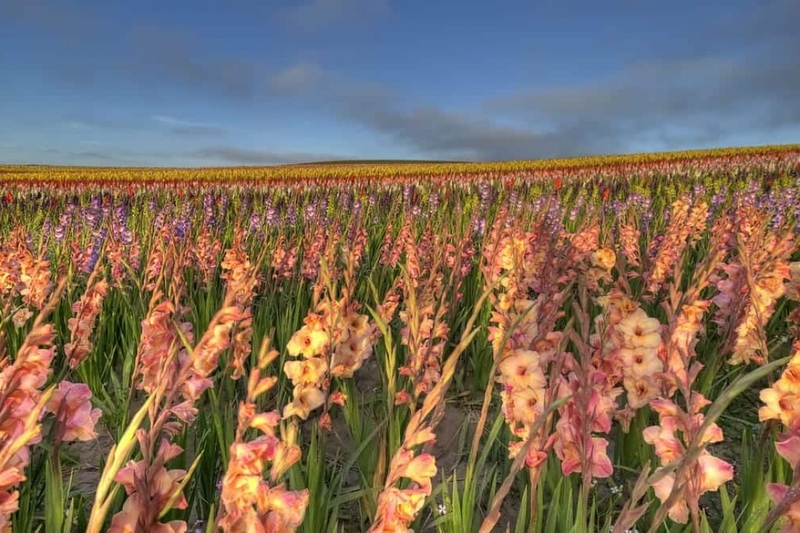 Gladioli are perennials with corms widely used as ornamentals in flowerbeds or for the production of cut flowers. Most species are native to South Africa. Gladiolus means "small sword" in Latin, in reference to the shape of the leaves: the latter are surmounted by an inflorescence in ear. 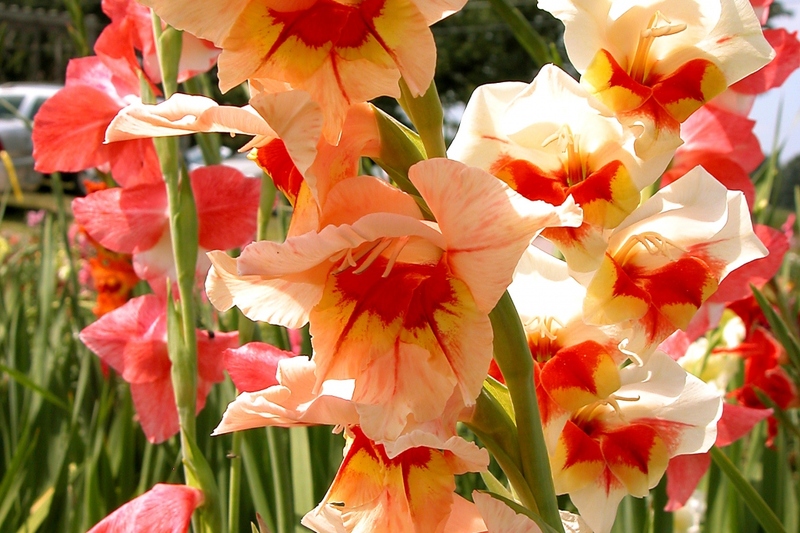 Plant the gladiolus in spring and early summer, 10 cm deep, with a spacing of about 20/25 cm between each bulb. Gladioli prefer a rather sunny place - they would not bloom in the shade! - sheltered from the wind and a light soil, fresh and well amended, if possible in sandy ground. It hates fresh manure! Water after planting - and watch the soil during all growth and flowering, which should never become dry! When the foliage has yellowed and not before, cut short! Gladioli need to have the leaves turn yellow to make up their reserves for the next bloom. In the fall, unroot, dry and clean the bulbs with a brush, store them in a cool, dark place during the winter and replant them the following spring. If your climate allows it and the winter stays mild - no risk of frost! - you can eventually leave them in open soil all winter long.